Are you using any of these 100,000 worst passwords for cybersecurity? If you do this on your resume, there is a 79% chance you will not got hired How much home can these Millennial families afford in these top cities? Studies say this is the exact time you should exercise if you want to lose weight The downside of having attractive coworkers You consume 92 extra calories a day by not doing this one simple thing If you do this on your resume, there is a 79% chance you will not got hired Are you using any of these 100,000 worst passwords for cybersecurity? Wood Environment & Infrastructure Solutions is seeking a Senior Electrical Engineer. 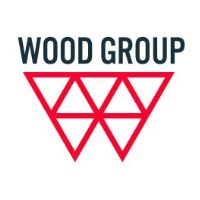 The Wood E&IS Portland, Maine Office is a multi-disciplinary science/engineering/architecture team of 150+ staff, located in one of the most livable cities in the US. Wood offers the technical challenges of projects located throughout the US within the relaxed environment of a small, vibrant city. This individual will; possess the ability to work as an integral part of a project team, interface with both internal and external project team members, and collaborate with multi-disciplinary project teams.